If you're located in San Bernardino county and need to sell a property that is facing less than ideal circumstances, we can offer you a smooth and fast transaction to you. If you have an incredible home in a fast moving market, you probably won’t be looking for alternative sale methods. We understand some homeowners have unique concerns, and that’s where we come in. We specialize in homes that aren’t selling in a timely manner, whether it’s because the house needs repairs or the sellers need quick cash that they simply cannot afford to wait for. A lot of people who turn to us have attempted to do things the hard way. They’ve financed repairs to their property and incurred large debts doing so. They’ve attempted to sell through a real estate agent without luck, or they’ve even attempted to sell their property on their own. We understand the frustration they’re dealing with, and we’re here to propose the perfect solution. We can buy your home for quick cash, no matter the condition of the property or the circumstances under which you’re selling. 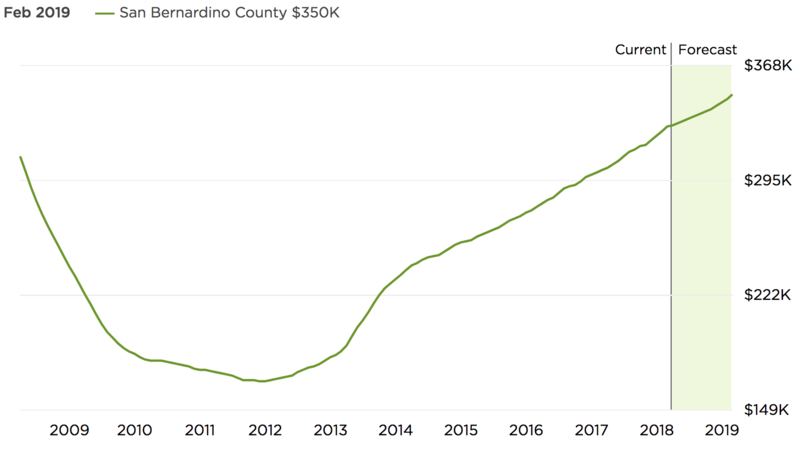 Home values in San Bernardino are relatively stable, with most selling between $250,000 and $275,000. Houses in the Verdemont area will generally sell for around $330,000, and homes in the Muscupiabe neighborhood will sell for a modest $210,000. It’s a healthy real estate market with a lot of growth potential. Sellers typically have an easy time finding a suitable buyer, even if they agree to take a price cut when they’re facilitating the deal. Price cuts are commonplace in San Bernardino, and that’s part of the reason that buyers come in to the area. 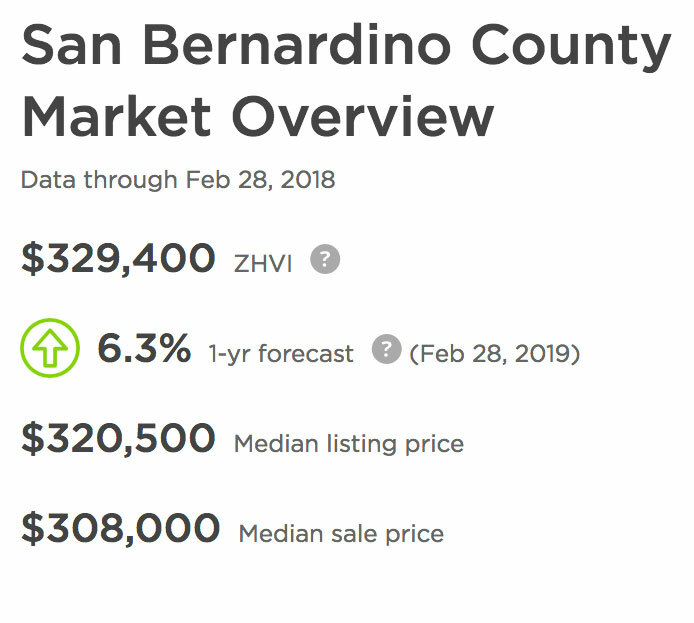 Houses in San Bernardino usually sell for what they’re listed for, and they’re often listed at less than their estimated worth. While they do sell, the circumstances are less than ideal. Getting full market value for your property is hard, and it’s a difficult journey when it takes you a long time to get that lackluster offer. A lot of people in San Bernardino want to sell quickly, and this makes the situation feel irreconcilable. They often don’t know what to do. A lot of the problems in San Bernardino come from things like negative equity. In San Bernardino, more homes than normal are struggling to get out from underneath their negative equity. Mortgage delinquency is also more common, and this is a factor of the local economy clashing with higher mortgage payments. Despite the growth in the area’s real estate market, these challenges often present sellers with challenges when they’re attempting to sell properties that are less than perfect. Working with an Investor may save you money! If your San Bernardino home isn’t absolutely perfect, located in a great neighborhood, and reasonably priced, you might find yourself waiting for a while. Not all properties are created equal, but that doesn’t mean that sellers should need to spend months or years waiting for the right buyer to find them in the traditional market. Some people can’t wait – their future is hinged on their ability to sell their property so they can move on. Houses that need work are always harder to sell. The majority of buyers aren’t savvy when it comes to repairs and remodeling. They want to move in, possibly paint the walls, and know that everything is structurally sound with the home. Many sellers will pay out of pocket for extensive repairs and renovations in an attempt to make the home to appear move-in ready, enticing buyers to make an offer. This methodology is problematic for several reasons. Sellers often spend more than they recover when they make improvements to their property. The second is that sellers don’t typically have that kind of cash on hand – they need to borrow or accumulate debt in order to make repairs that may not even lead to a solution. Difficulties become compounded, and homeowners ultimately need more help than they had initially anticipated. This is an avoidable situation when alternative methods can be used to sell a home. Investors will use their own money to restore or repair a property. They’ll prepare an offer that reflects the cost of those repairs, keeping sellers from having to spend their own time and money to improve the house. Sometimes, life circumstances dictate that sellers may need to move their property quickly. Emergency relocation, damage to the home so significant that people cannot safely live there, divorce, properties in probate, financial distress, and unmanageable code violations often light a fire beneath sellers. Finding a buyer on short notice is no easy task. The traditional market takes a long time, even if a buyer can be located in a timely manner. Inspections need to be conducted, mortgages need to be secured, and the closing process can be lengthy. Working with an investor is one of the only ways to circumvent the wait. Investors use cash to purchase homes, which means they’re able to close quickly. They’ll accept properties as-is, including any circumstances that may be affecting the house. This cuts the bulk out of the process and makes it easy for sellers to relieve themselves of the property and move forward sooner. If you want to sell a property in San Bernardino for any reason, we’ll most likely want to buy it. We purchase all kinds of properties. Since we’re cash buyers, we don’t need to wait for approval or funding to move forward. We can make you an offer as soon as you request one – we only need some basic details about the property. Rose & Arlene, San Bernardino Rose & Arlene inherited their parents property in San Bernardino. They reached out to us when they both decided that they did not have the time or finances to upkeep the home. We came out the same day they reached out to us, made them an offer and within 2 weeks Rose & Arlene had their home sold and were able to walk away from the property. With over 450 home owners in San Bernardino County having successfully sold their homes with cash in hand, you have nothing to risk by reaching out and seeing what we an offer you! Let Freedom Real Estate Solutions simplify your life! Once you accept our offer, we can begin a smooth, safe, speedy sale process. We can close quickly, and you’ll get cash. We can even purchase homes in foreclosure in order to avoid a negative impact on your personal credit history. You can call us at 951-228-0167, and we’ll work together to come up with a solution that addresses your needs. All information is secured & confidential on our SSL encrypted site. If you have any questions, contact support here. If your goal is getting a better return on your investment or selling a property that has become a thorn in your side, we can help. Finding a solution to your problem is our number one goal!